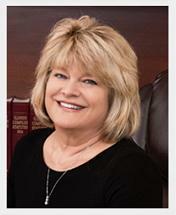 The law firm of Susan Parnell Wilson was founded in 1991, concentrating in family related cases. Although Susan Wilson is licensed in Illinois and Missouri, the firm primarily practices in the Illinois counties of St. Clair County, Madison, Monroe, Clinton, and Randolph. The firm staffs two paralegals and a secretary/receptionist. The cases handled most frequently include divorce, child custody, support issues, domestic violence, modification of divorce and custody decrees, paternity, and grandparent rights and visitation. Additional areas of practice in which the attorneys and paralegals are experienced include personal injury, DUI's, wills, and powers of attorney. These additional areas of practice naturally flow from the family-related areas and are often necessary to complete problems which arise during or after completion of the family matters. Attorney Susan Parnell Wilson possesses high academic credentials, maintains strong community ties, is committed to the pursuit of excellence, communicates effectively, and demonstrates the strictest personal and professional ethics, as well as the utmost concern for our clients. With more than 32 years experience in family law, Ms. Wilson is primarily a litigator spending the majority of her day in hearings. Appointments with new clients are primarily scheduled around the trial schedule and are usually early in the morning or late in the afternoon. Attorney Wilson is also a licensed and experienced mediator and arbitrator. She has been mediating family-related issues since 1993. As an arbitrator for St. Clair County Arbitration programs, she arbitrates several cases each year acting as an arbitrator judge in personal injury and property damage cases. The firm, although all female, has a high concentration of male clients, and has had success in gaining custody for fathers on numerous occasions. The firm excels in catering to a wide range of emotionally-charged issues and helps the clients cope while going through their crises, as well as helping them develop skills to face "life after divorce." The firm brings with it a wide range of past experience in that Susan Parnell Wilson taught high school English/French for 10 years prior to attending law school. In addition to family law, the firm's paralegals have training in personal injury, criminal law and military law. Heather Dabler previously practiced five years in a firm which handled personal injury and insurance defense cases and Sara Rice practiced four years as a public defender in St. Clair County.